What is living the martial way. Well that is truly a tough question. 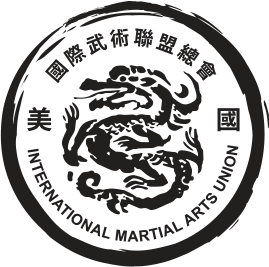 We would bet that if you asked the worlds martial arts population what living the martial way meant that each one of them would give you a different answer. Hopefully, though, the answers would not be too different. Here are just a few thoughts to consider while you formulate your own answer to the question: "What is living the martial way". Let's consider your overall health as a starting point to living the martial way. We must start here for our health is vital in so many ways. Yet how do we define health. Is one healthy if they are merely “in shape”, and what does being in shape mean. There have been numerous studies done on this topic alone. For example, in one study Sumo Wrestlers were found to be in greater health than individuals who were considered to be at their target weight. Not many would agree that a Sumo Wrestler is at his target weight. The study found that the Sumo wrestlers were in greater internal health due to their rigid lifestyle. They were heavy yes, but they still trained as athletes. They ate healthy foods and exercised consistently. Their diet was merely adjusted to keep and gain weight. However that didn't mean they weren't getting enough nutrients. We bring this up only to open you to the idea of honest health and not a photo in an ad or a false belief system. Believe it or not there are attractive, muscular, skinny people out there who have high cholesterol. Correct martial training should do one thing and one thing only -It should improve your quality of life. If that means losing or gaining weight then so be it. Monk Wise Martial Arts Academy has worked with many individuals who have had various eating disorders for example. Some view an improved quality of life as having more energy, vitality, sharpness, and strength. In just one month of attending regular classes at Monk Wise Academy we guarantee that you will improve in each of those areas. Others just don’t think they can or they don’t believe they deserve happiness, health, or even to be content with themselves. All we can say to this type of attitude is that once you enroll in our programs and start down the path it will be a full time job trying to hold onto those beliefs. You will be challenged in every class. In every class, as much as some try to deny it to themselves, you will have success that is measurable. Old attitudes and insecurities will begin to erode.